NH Media, orangejuiceandbiscuits.com and youareonthelist.com teamed up to have Summer Social on Tuesday night, where I gladly attended and gratefully was invited to. The house photographer was celebrity fashion photographer - Fernando Colon, whom I met earlier in the month at the Georgia NY & Models International event. NH Media is a "Social Media PR firm catering to clients who want to transform their brand in the public eye by harnessing the power of social media as well as inspire companies to embrace the future of social marketing to optimize business opportunities. NH Media strives to use campaigns and events as platforms to develop partnerships and relationships with companies that empower women and children." Orangejuiceandbiscuits.com is an "entertainment, news, fashion and pop culture blog, based in New York City, that serves a young savvy demographic and was named one of the Top 5 Best Bloggers to follow in 2009 by Mashable.com." Youareonthelist.com is a "company that provides its members with the ultimate access to luxury event experiences that only insiders can attend." It was an amazing event. Summer Social provided a guest photo shoot, a live Twitter stream for #summersocial, and of course delicious hor d'oeuvres, food & a chocolate fountain provided by Q Events. 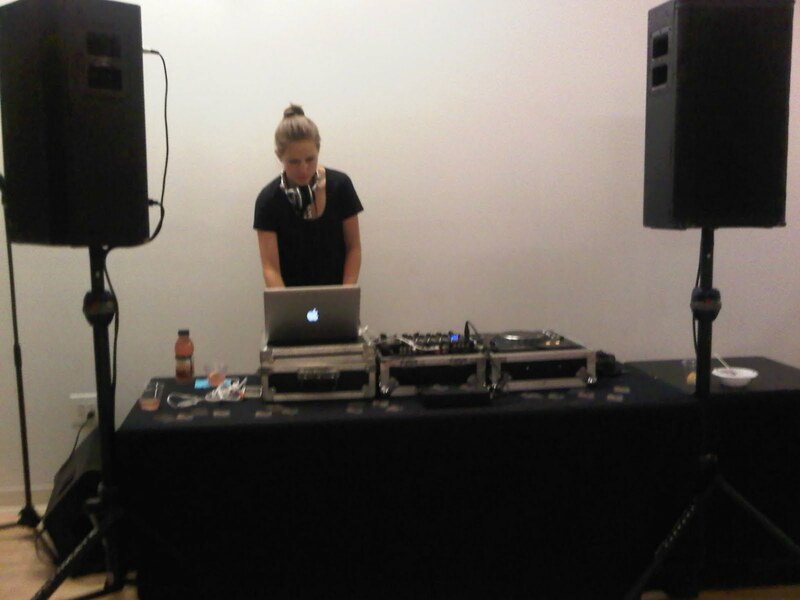 It was held at Cult Studios with a live DJ and bar. Other sponsors included: The Boulevard Magazine, BNI, Honest Tea, 1947 Beer, Oro Tequila, The Professionals, Brazilets, One Water, Pop Chips, The Blind Project, China Glaze, Tarte Cosmetics, and Jen Chu Design. Wow, you are such the A lister. Any event that gives a goody bag is ok with me. That looks like super-stylish fun, and you and your lovely BF look perfect together. Nice gftbag! Great photos. It looks like it was such a fun time. I'm sure it was. Thanks for entering my giveaway. very cool! how jealous am i?! Oh, how fun! I love goody bags! You are so glam, girl! XO! 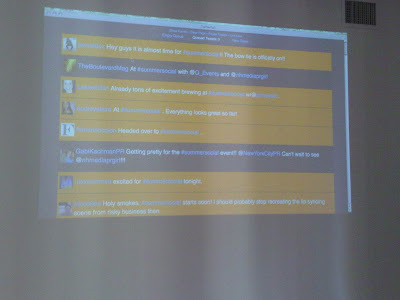 awe i love social media events! another time I was wishing I was in NYC. Sorry ive been so busy & havent contacted you personally about the Ellafly contest! but congrats! :) just send me your contact info & i will forward it on! That's so awesome! :) Looks like you had fun. 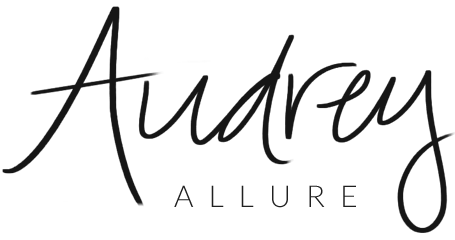 Thanks for the blog post Audrey! You are amazing =) Thanks again for coming! You're a doll. You look great! looks like fun! LOVE your booties! Are they gray or brown? How cute are you! Love your bright sweater and those BOOTS! AHHHH, gorgeous. Thanks for u comment on my blog..just read ur bio and I am impressed!! I love how u paired grey booties with the sequins skirt..
You and the bf look fantastic! looks like SO much fun! i'm jealous! xoxolannie. great look! that looks like fun! 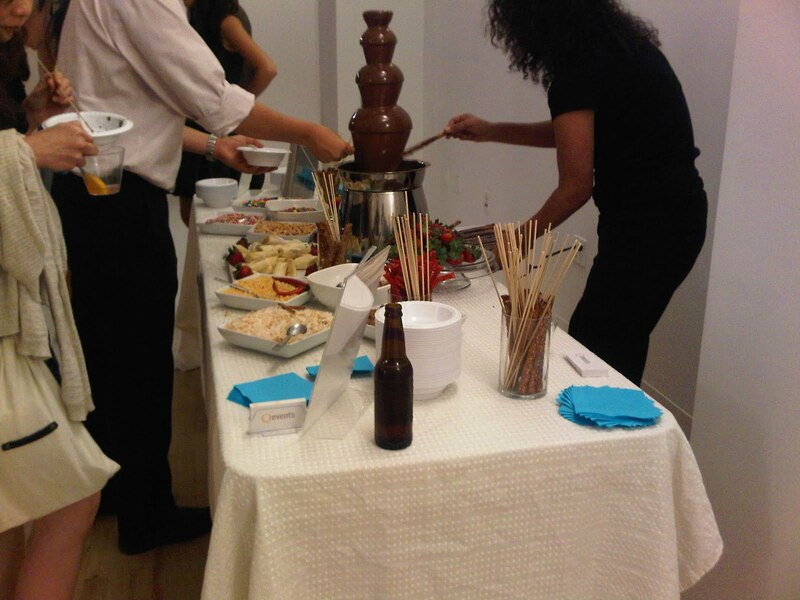 Oh wow, that event sounds absolutely marvelous, especially that chocolate fountain! I bet you did ! Looks utterly fab -u - lous !!! hi audrey! thank you so much for visiting and commenting on my blog sweetie! what a fabulous event you attended there!! hi darling! hope youre having a wonderful week. i wish i could be with you on that event- looks like loads of fun! youre so cute. 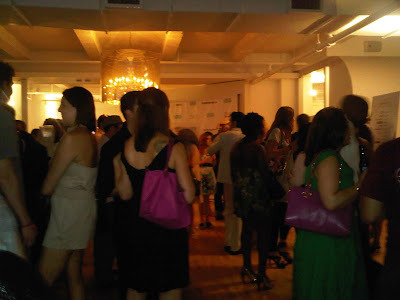 what a great way to network and mingle! Thankyou so much for your very nice comment :)great post ! Audrey you're always at the best events! It was great seeing you and Andres there, thanks for the mention! Chocolate fountain, yum! 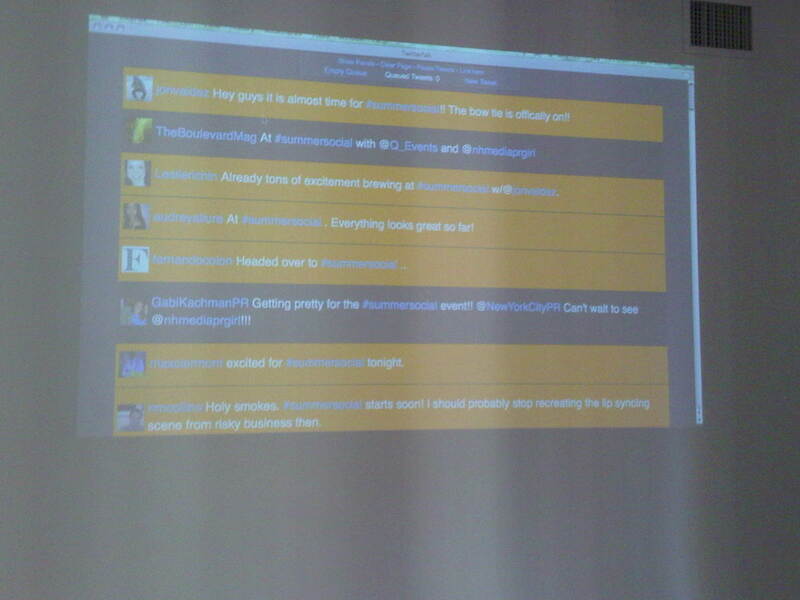 This looks like a fun event; the live twitter feed is super cool. Amazing! 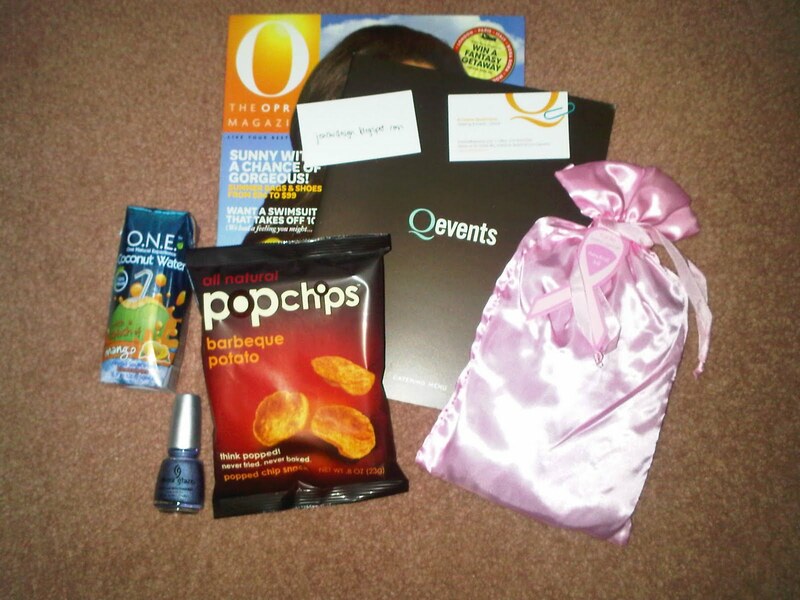 What a fab swag bag! I love this. Looks like a great time. Thanks so much for stopping by my blog and leaving a lovely comment. It's so nice to meet you! Love the photos and the one of you and the BF the best!! I'm so glad you had a nice time.. Looks like a cool event. to the party. You look beautiful in that outfit, darling! You look absolutely gorgeous, and this sounds like a fab event! Furthermore, I am absolutely in LOVE with today's song. This seems like such an amazing event. i so want to go to events like this. You look great--love the boots! And yay to goodie bags. You look great and have GORGEOUS eyes...seriously! Looks like it was a fun party. Oh my gosh! Congrats on the invite! This looks like such a blast! And that nail polish is perfect for the Fourth! Lovely blog!! You are such a beauty! wanna follow me ? or follow each other ? looks like a great place to have been! u look smashing and those goodies look great too! Hey wow... this is so exciting. I wish we had something like this here in Paris... Maybe I should get into organizing an event...;) Have a lovely weekend! wauw, you're lucky with that invitation to the event! Looks like you had a great time. You two look great, sounds like the best time!